Alfred Harris currently lives and works in Camden, London where his large, purpose-built studio has become an installation space for the ever-expanding series of self-portrait ‘studies’, both paintings and drawings. It is this series of work which has formed an intense, truth-seeking quest, at the centre of his practice, for the last twelve years. He plans to continue with this activity of self-searching for the rest of his working life. Now, a vital, quick-witted man of eighty-two who swims daily, Alfred remains experimental, vigorous and forward-looking as an artist. He was born in London in 1930. 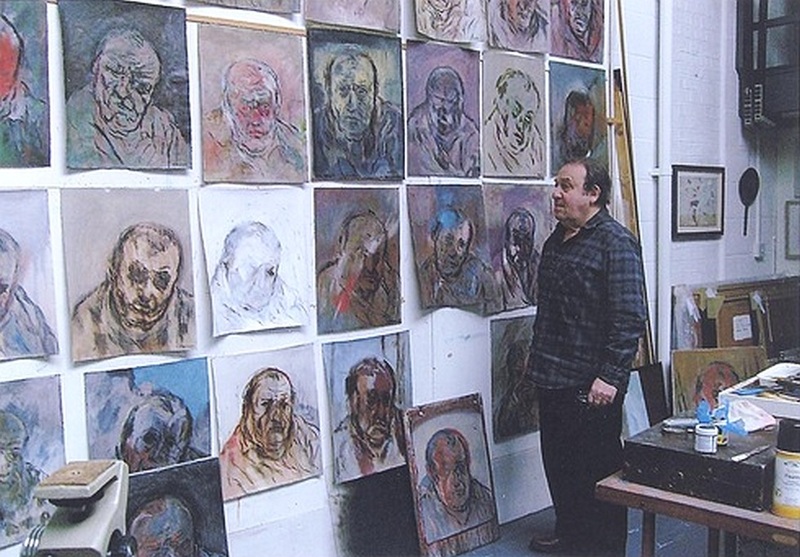 He first trained as an artist at Willesden School of Art and then at the Royal College of Art from 1952-55 alongside such figures as Frank Auerbach, Brigit Riley, Peter Blake, Jo Tilson and Leon Kossoff. Launched by the Festival of Britain 1951, the Fifties was a decade of increasing confidence and growth in the British art scene with the emergence of Pop artists such as Edouardo Paolozzi and Peter Blake. It was also a decade marked by fierce commitment to expressive painting - a type of existential Realism rekindled by artists such as Lucien Freud, Frank Auerbach and Francis Bacon. This group of artists were later characterised as the School of London by critics, curators and gallerists. Looking back across the years, Alfred remembers that his first significant work as a mature artist was landscape-based. These sombre, painterly landscapes emerged out of his early fascination with the materialist aesthetic of Constable. His love of Constable’s work – its earthy masses, restless energy and pantheistic spirit, are embodied in the early more naturalistic landscapes but also continue to resonate in a more abstracted form through later series of works such as the Kites. These early landscapes were exhibited at prestigious London galleries such as Driam, Beaux Arts and the Ben Uri. During this time, Alfred Harris knew and associated with Leon Kossoff and Frank Auerbach and his work was shown with Auerbach in group exhibitions. The seeking spirit and restless curiosity of Harris’s work is ageless. There is a freedom, rigour and urgency to his current work that speaks to us now and is in confluence with the growing interest in expressive and more performative approaches to art. His work has the direct, personal and live quality many are seeking as a way out of the melancholy closure of mediated and appropriated forms which have bounded our culture so tightly since the 1980s. 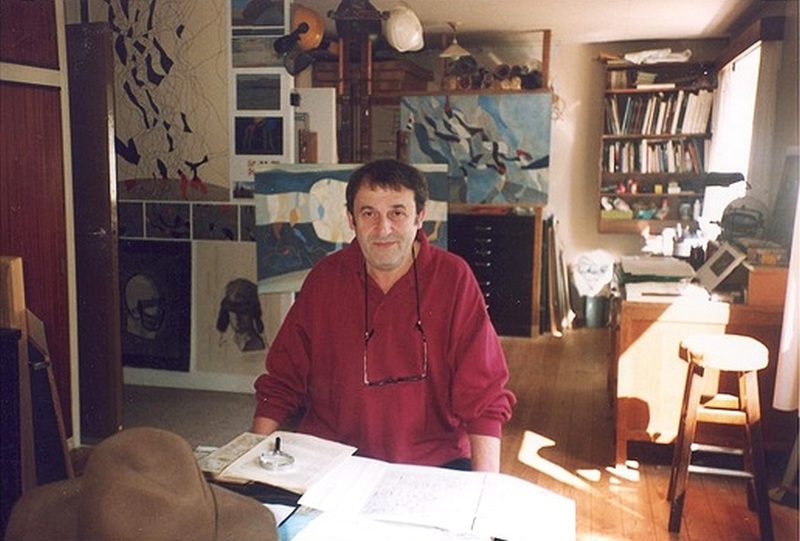 Unwavering in his determination to maintain creative integrity, Harris resigned from the Royal West of England Academy, and in 1988 resigned as Chairman of the Department of Art and Design Institute of Education, where he had been teaching since 1963. Harris has now taken up a fully hermetic and independent position as an artist. Eighteen months ago he took the last step to separate himself from the vagaries of the art world and pressures of the art market when he decided to resign from the London Group. This free spirit of independence does not mean that Harris is indifferent to ways his art communicates to people. On the contrary, he is always moved by peoples’ responses to his work. He has taken great pleasure in sharing ideas about art through teaching and Harris also thrives on the flow of requests from his friends, private collectors, students and other art world visitors to come to him and see his work hung in the studio. 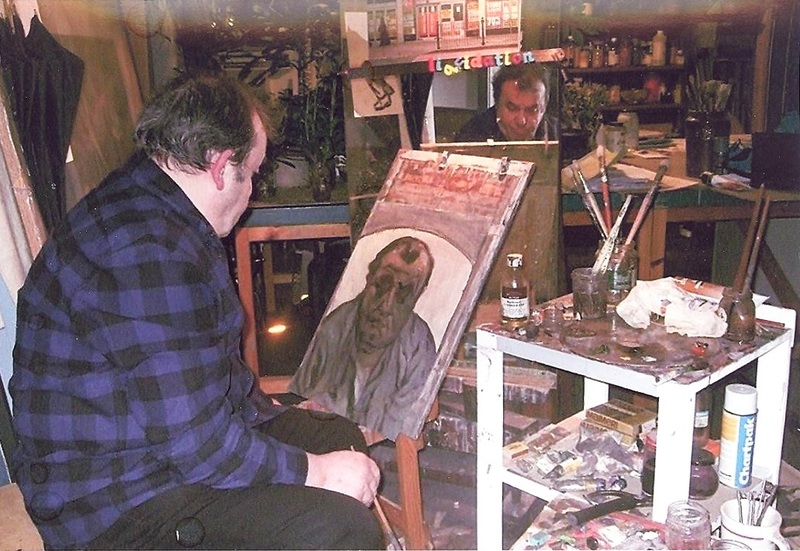 The studio is the site where work is conceived and made and also a site where rich debates about art and life take place. In this respect Alfred Harris is an artist’s artist like his predecessors Cezanne, Giacometti or Auerbach whose lives were centred on the daily practice of their art in the studio rather than seeking more public and institutional validation. 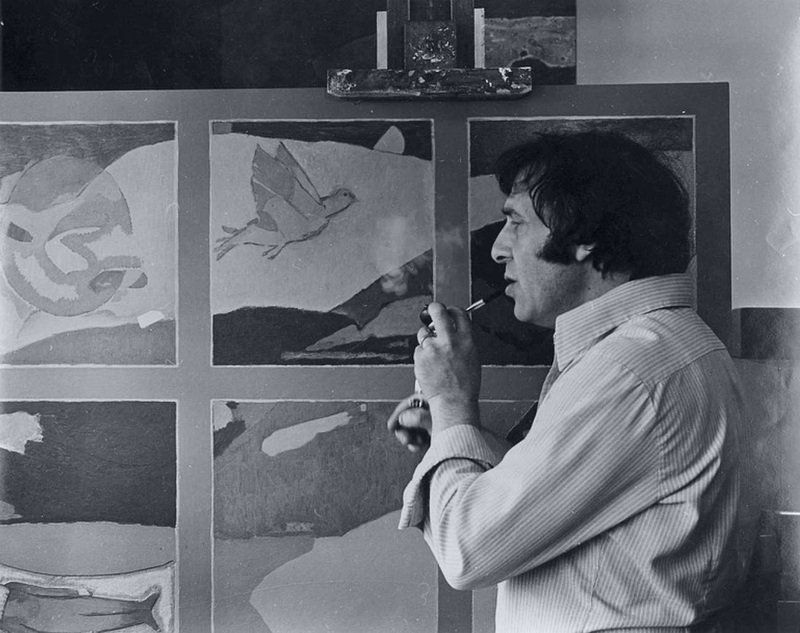 For seven years, beginning in the late sixties, Alfred Harris worked closely with Jacob Bornfriend and exhibited alongside him in seven major two-man shows in England and Sweden. These works were the visual component of the Uppsala Arts Festival in Sweden. Harris places significant emphasis on this creative friendship, saying of Bornfriend, 'I know of no other person who was able to talk so simply and profoundly about art. I learned more from him than from all of my teachers'. Their working relationship was symbiotic; so close at times it was hard to tell their paintings apart. On one occasion, they both signed the same work, identifying both their contributions. This affinity was intellectual and philosophical as much as technical. They both shared a philosophy of painting and believed in its significance as a means of remaking experience and in the remaking of experience, painting and drawing could offer a unique insight into human existence aspects which were impossible to convey through words.